It is nice to awake to 79 degree weather instead of 90+ at 8:00 AM. It is slightly overcast and comfortable. We eat a quick snack and on to adventure. I know some of you may question how we find the different places to go. Well go to the Visitors Center of the city. Almost every city has one. Or go to a hotel. They will have the official visitors guide book. 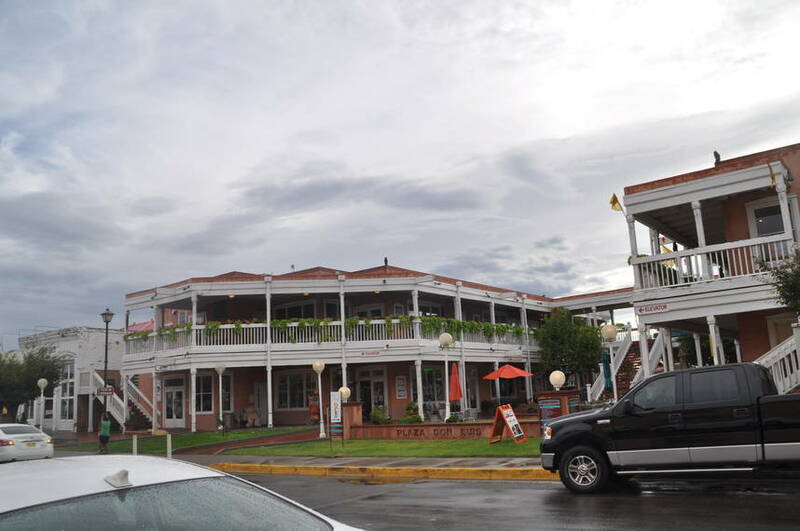 Ask the hotel front desk or concierge about local event. You don't have to stay in the hotel to get this info from them. 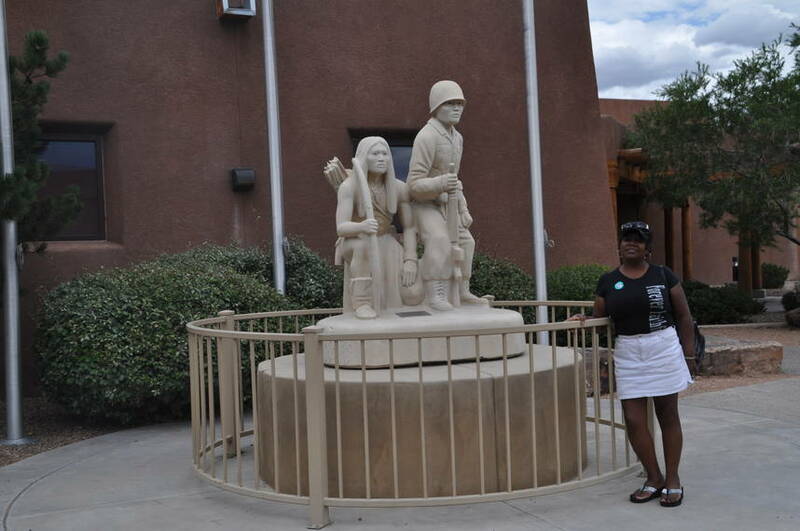 I was speaking with the front desk of the Isleta Resort where we parked the Hilton. I got the book and they even gave me a 2 for 1 deal to get into the Cultural Center. Plus we got another $1 off because we were seniors. Work it girl!!! As my mom use to say you never know until you ask. 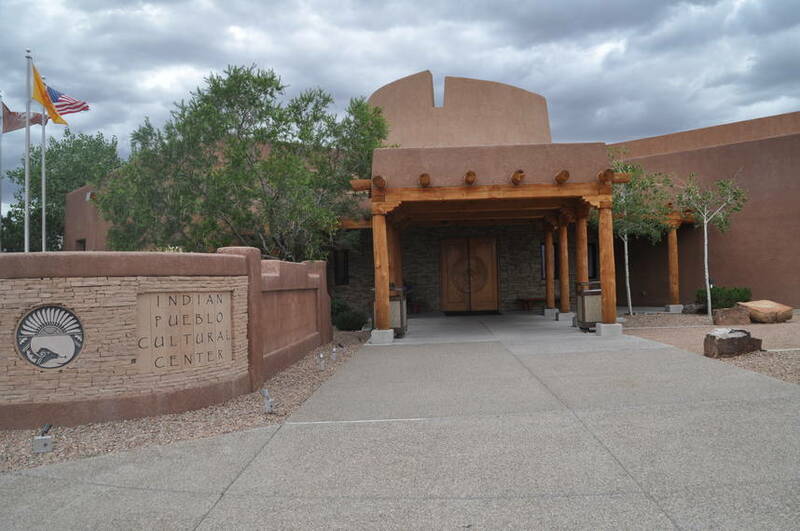 We arrive at the Indian Pueblo Cultural Center and take the free tour. 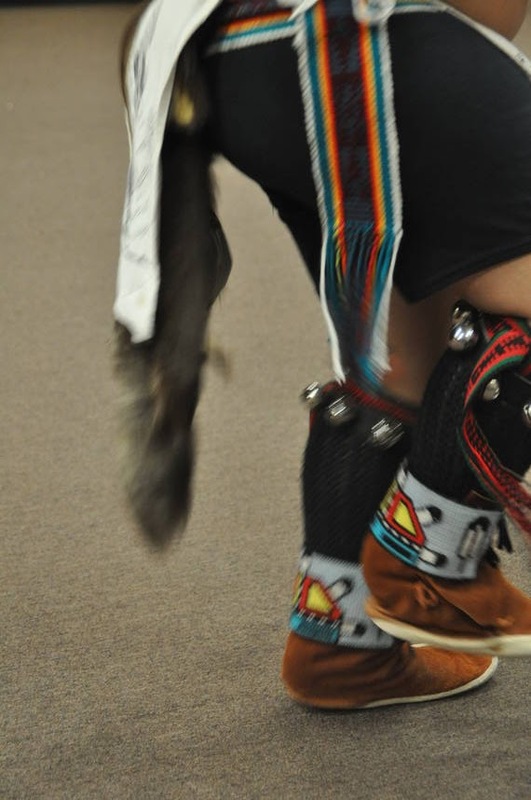 Did you know there are 566 federally recognized tribes in the U.S.? 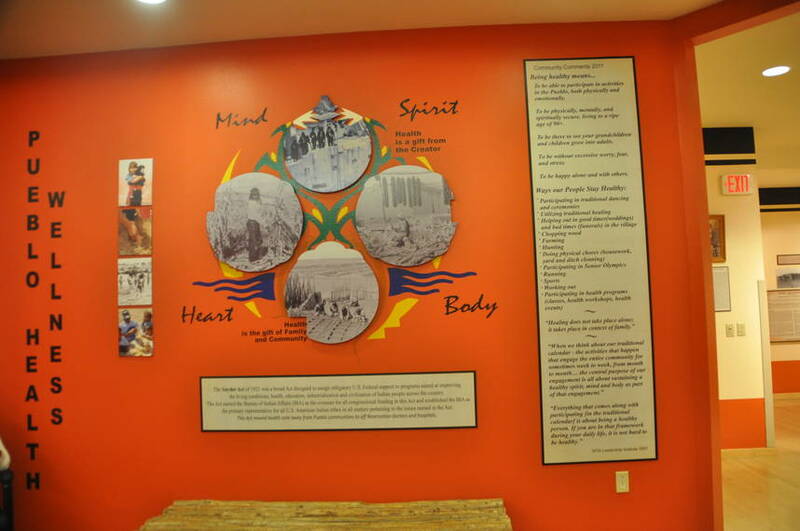 22 tribes are in New Mexico (NM). 2 Apache and 1 is Navajo. 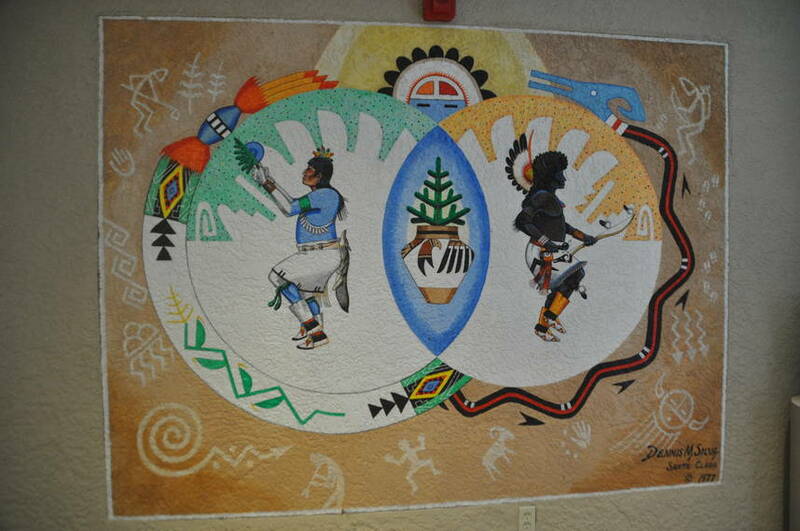 The 19 Pueblos of NM are Sovereign Nations. 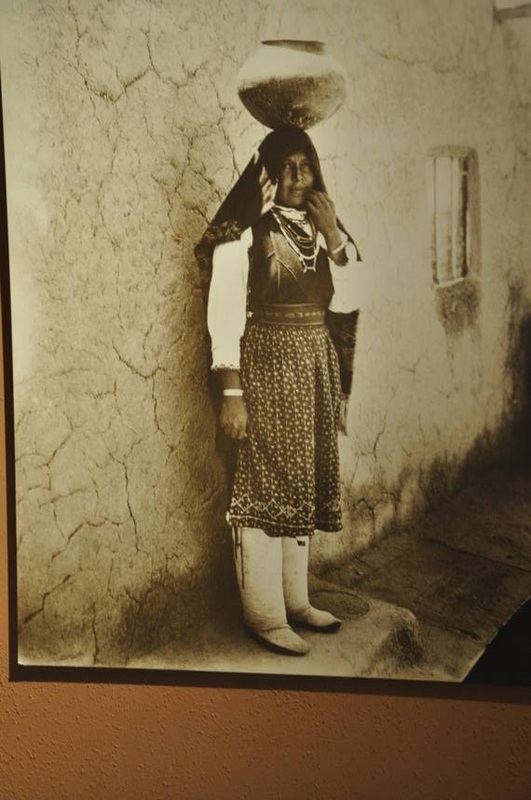 Among the 19 Pueblos there are 3 language families: Zuni, Keresan and Tanoan. 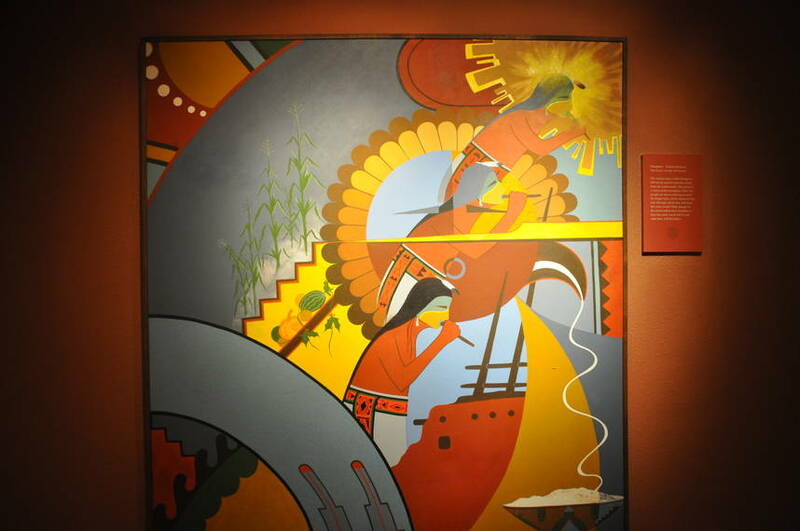 The Tanoan language has 3 dialect; Tewa, Tiwa, Towa. These languages are still spoken today. 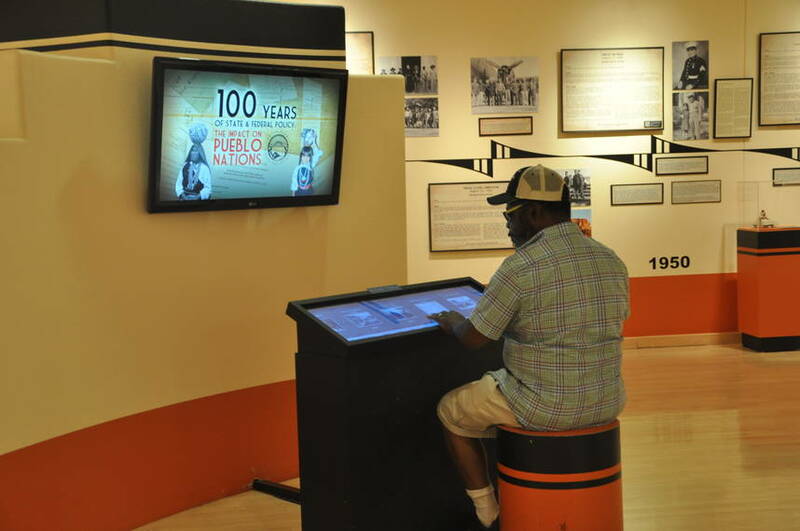 The center had an impressive exhibit about 100 years of state & federal policy and the impact it had on the Pueblo Nation. Trust me when I say the Indians did not hold back or try to whitewash what happened to them. They told it as it happened. 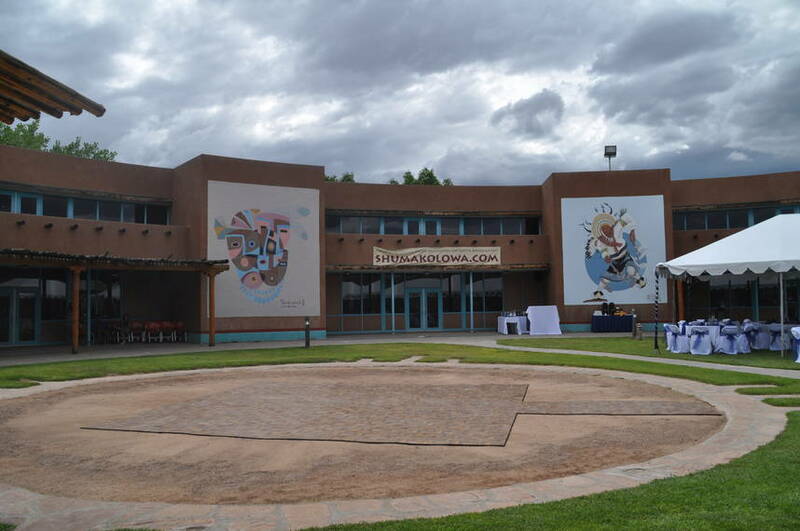 - To be able to participate in activities in the Pueblo, both physically and emotionally. - To be physically, mentally and spiritually secure, living to a ripe age of 90+. - To be without excessive worry, fear and stress. - To be happy alone and with others. These can learn from all of these. There is an interactive information area. One could sit here all day and learn. 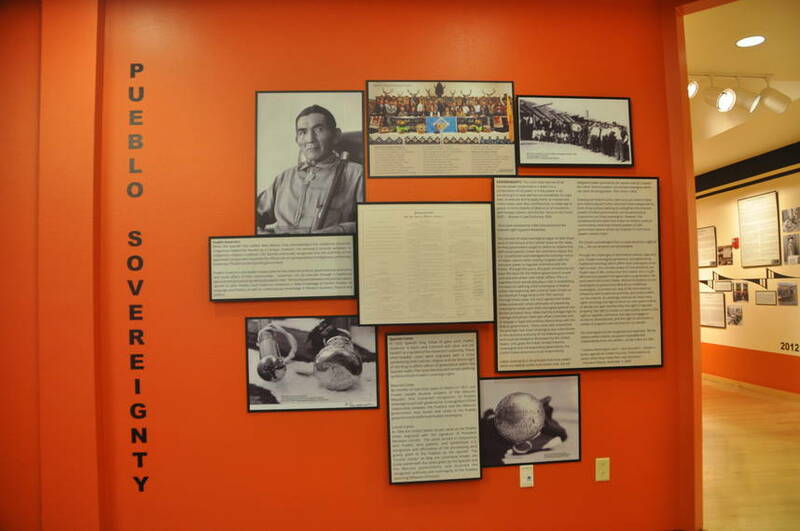 Pueblo Governors are leaders responsible for the external political, governmental, economic and social affairs of their communities. Governors can be selected through a traditional appointment process or by electoral popular vote. Terms may last between one and four years, specific to each Pueblo. 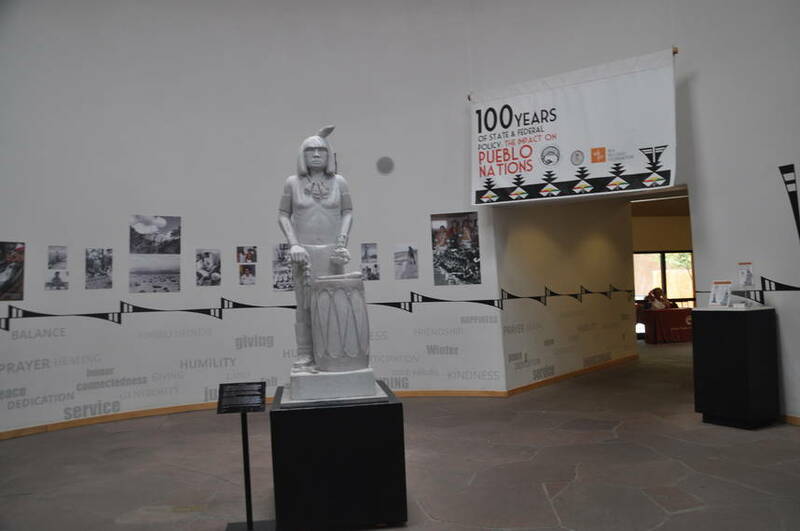 Each Governor embraces a deep knowledge of his/her Pueblo, its language and history, as well as contemporary knowledge in Western business, finance and politics. Please explain why most have women leaders and the US can't seem to have a woman President. We are suppose to be the "Greatest Leader in the World". Hmmmm. Indians celebrate how resilience they are. Here is their statement "Our gifts of land, language and culture gives us strength in our values of love respect and service. 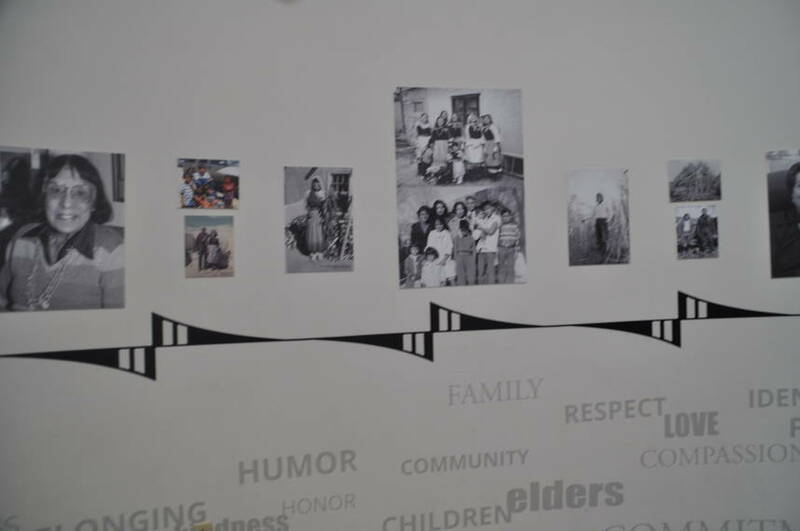 Our elders teach us in their everyday conversation and with this we continually learn the way of our people. It is up to us to absorb the knowledge they are giving us, to follow the teachings of everyday life, and to cherish our events of the calendar year. 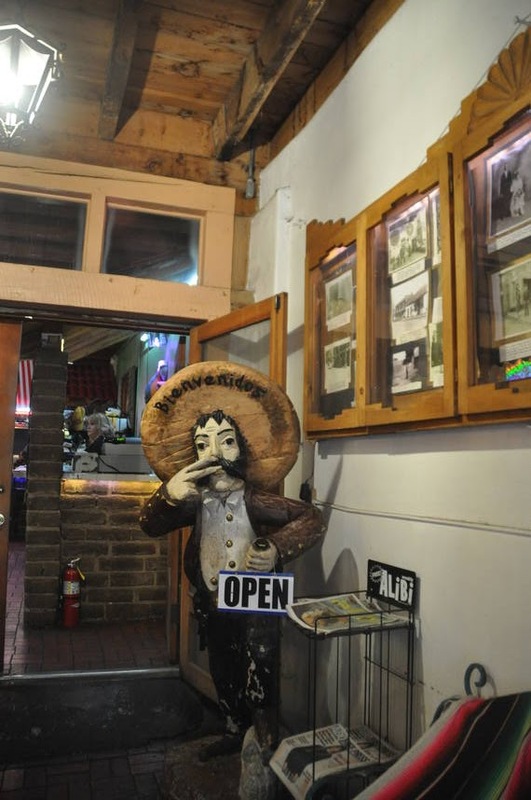 To some people living the Pueblo life may be ordinary, but in fact, it is extraordinary to be part of a Pueblo community. 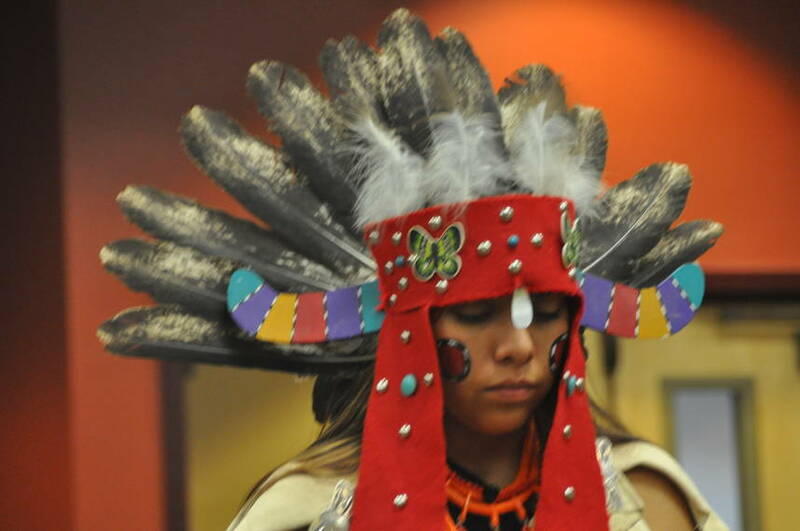 To belong to a land rich in color and custom, to be spoken with a native language that teaches the heart and to be part of religion that inspires the spirit is unique in every way. 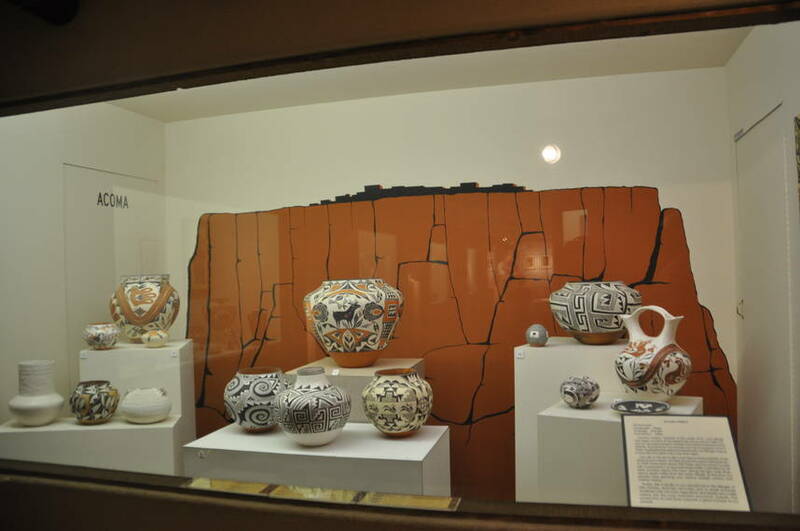 A culture that expressed years of traditions and a way of life passed down from generation to generation is Pueblo culture. The culture of our people." 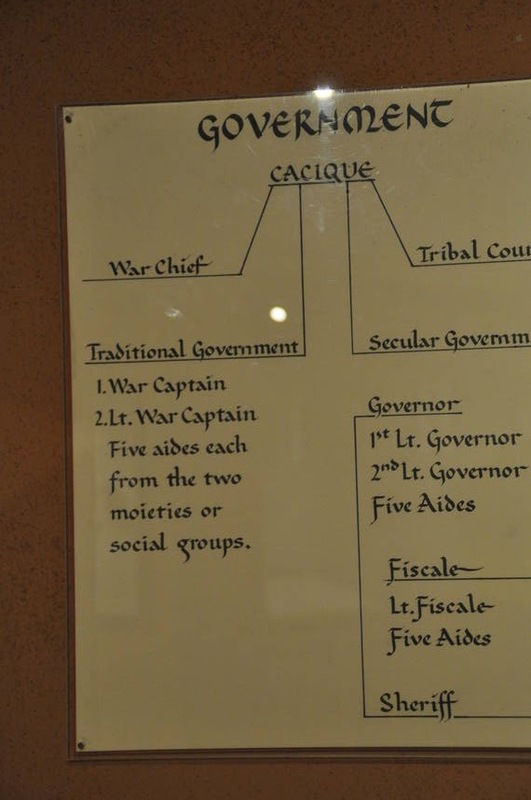 There were so many treaties and laws past for and against the Indians that it is mind boggling. Here are just a few: Religious Crimes Code 1883, Dawes Act 1887, American Antiquities Act 1906, Snyder Act 1921, Pueblo Lands Act 1924. 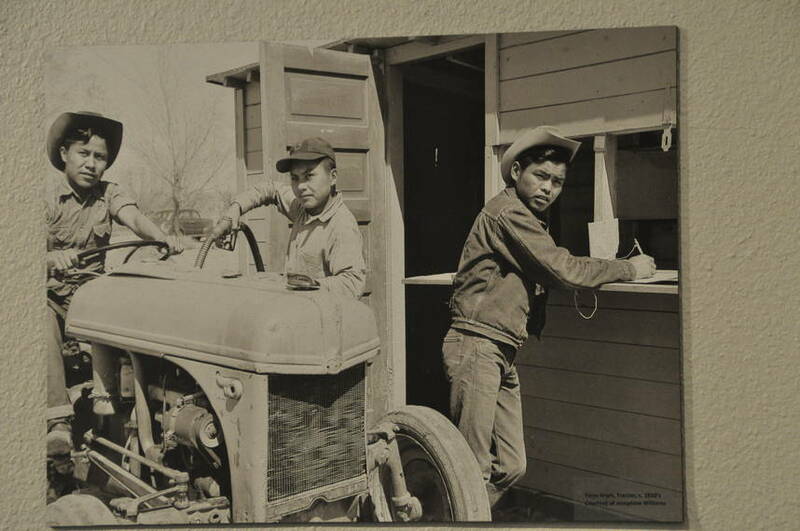 Did you know that the Indians also of the Roosevelt New Deal. In the midst of the U.S. great depression many artist found gainful federal employment in New Deal art projects. 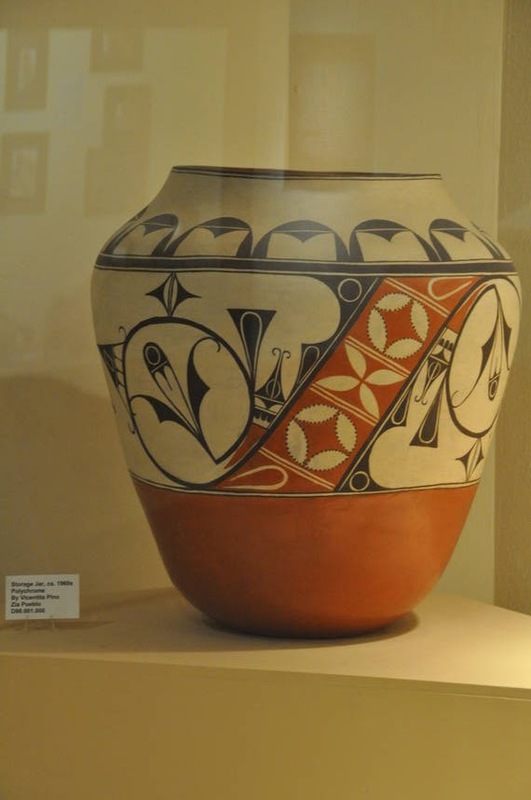 Pueblo potters, painters, jewelers and weavers not only brought acclaim to Pueblo arts, but also contributed their incomes to help maintain their tribes in the midst of the depression. 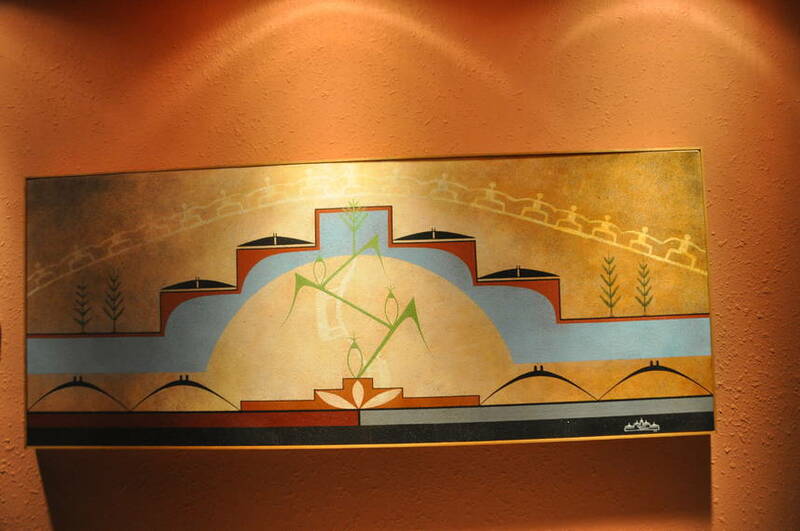 Many of these artists became matriarch and patriarch of the contemporary Pueblo art movement. 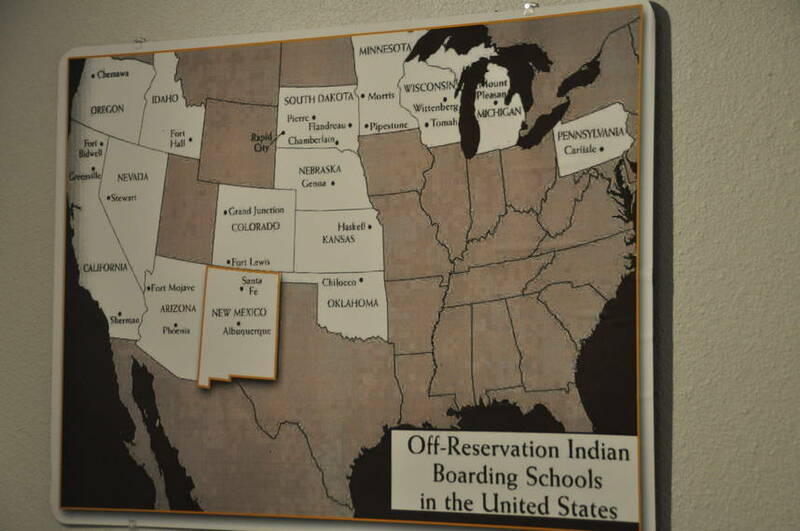 One of the cruelest things that happened to Indians in the 1800's, were the taking of their children and putting them in boarding school. They were not allowed to speak their language, be a part of their religion and have no contact with their parents. It was felt this would give them a "better life." Excuse me. Isn't that the parents duties. Looks like slavery all over again. 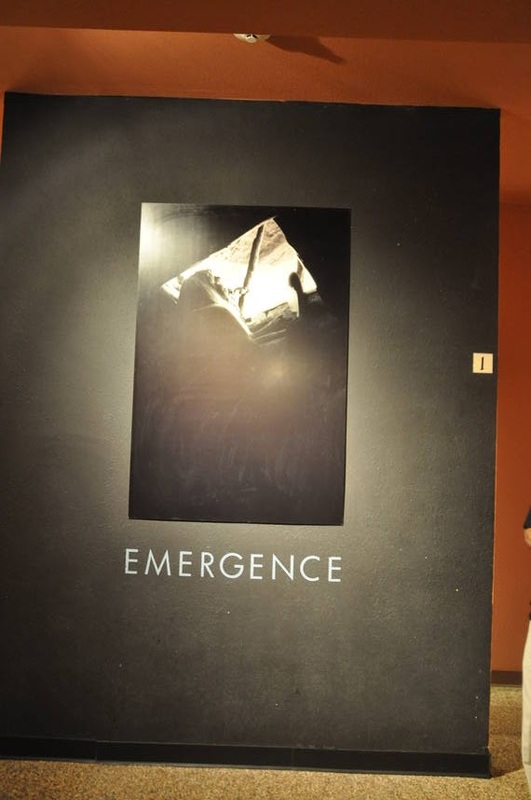 The word Emergence is a great word in the Indian culture. They believe that they came under the ground. Emergence myths of the 19 Pueblos differ in many ways, yet all share the belief that this is the story of their birth from mother earth. Their very beings as humans are bound to the sacred earth. At its root, the story teaches about respect = respect for the earth, respect for all human beings. But especially to how women are treated because women are the personification of mother earth. Their reverences for mother earth must be carried to the mothers of their children. 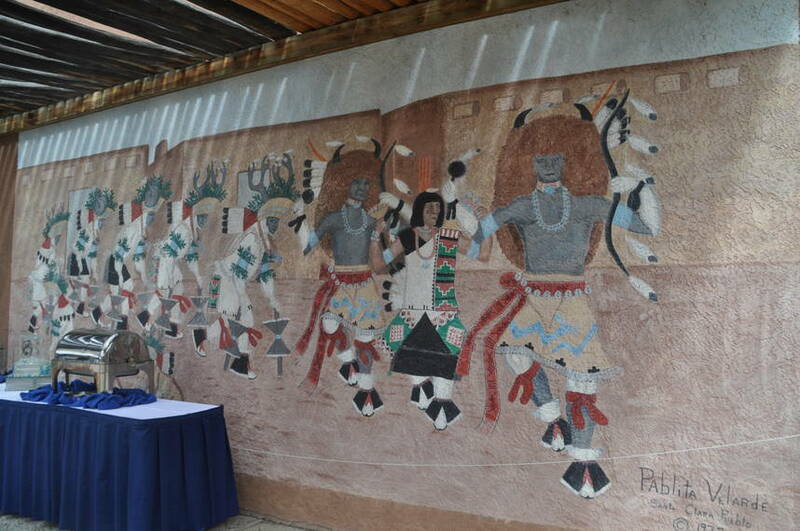 Since the Indians believe in Emergence is from underground the Pueblos are located on the lower level. 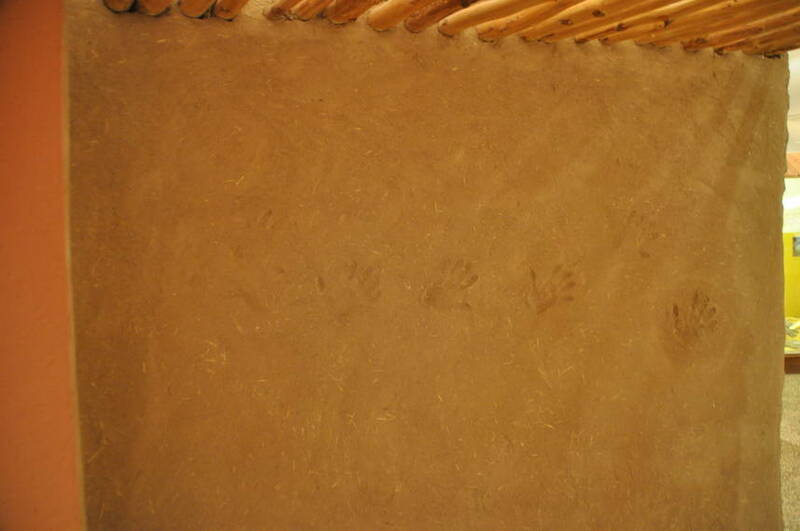 See the hand prints on the adobe wall. It means the Indians are ever push up. Emergence. 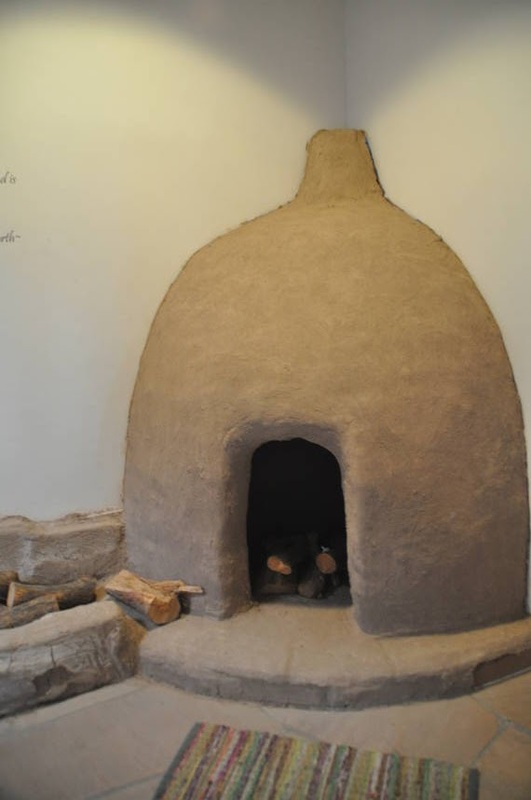 Each of the 19 Pueblos have adobe houses showing what their tribe represents. 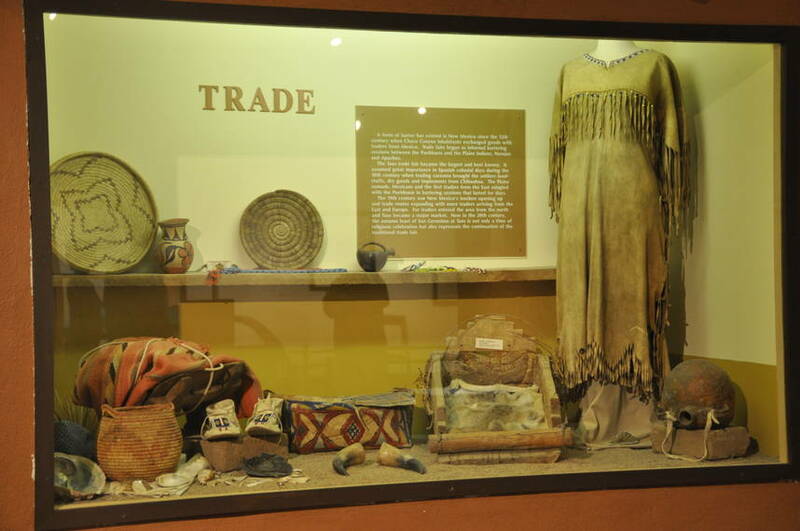 Trade was a big way of life in the Pueblos. The Spaniards brought their European foods to the Pueblos. 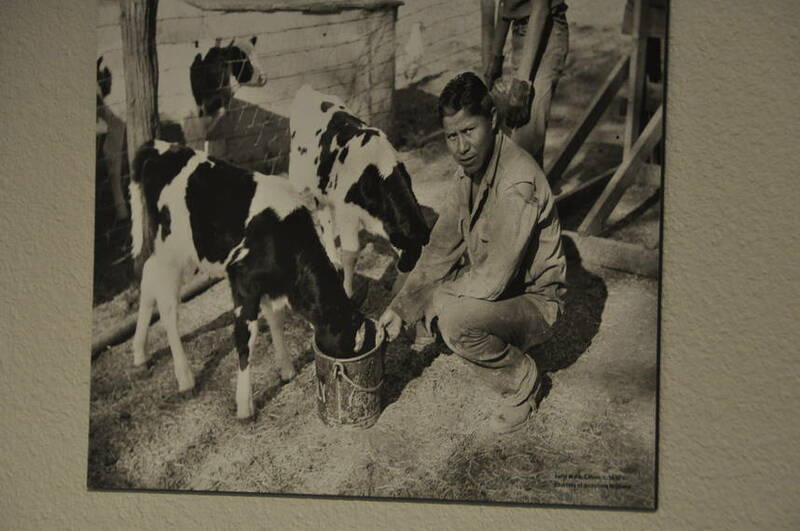 The domesticated animas such as cattle, pigs, sheep and chickens came with the first Spanish settlers. The Spaniards also brought disease. There use to be 250,000. Due to diseases and violence the group is only 75,000 in NM. 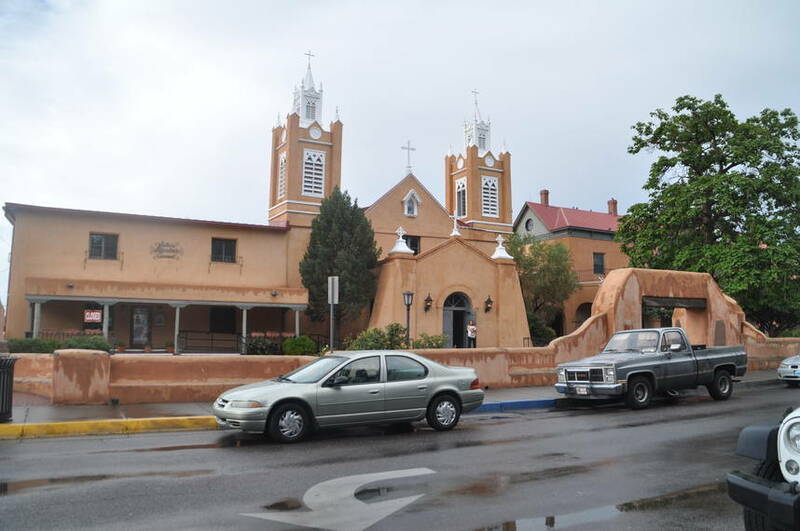 The Catholic religion cause many changes to take place in the Pueblo social structure. 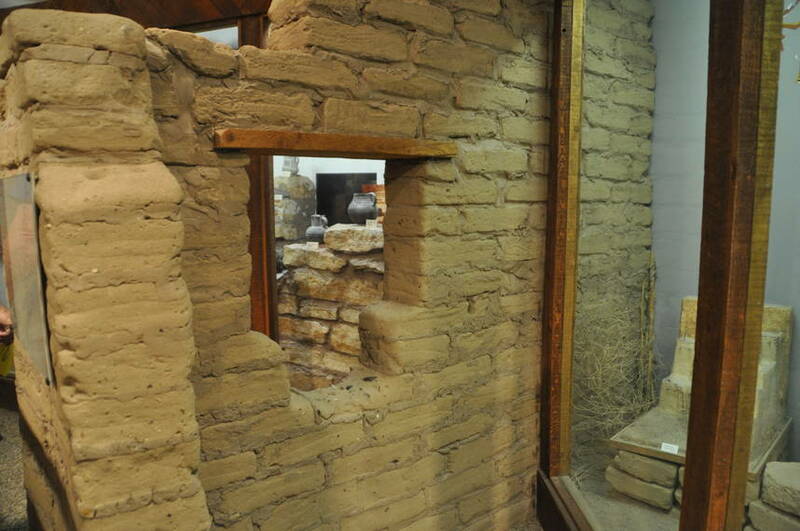 The people already had a form of religion which was in every area of the Pueblo life. 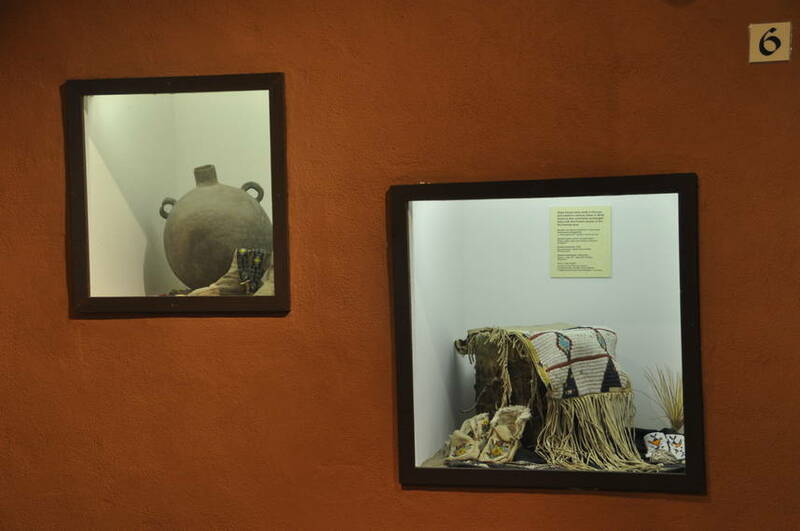 The Pueblo religion is similar to Christian principles although the methods of worshipping were different. 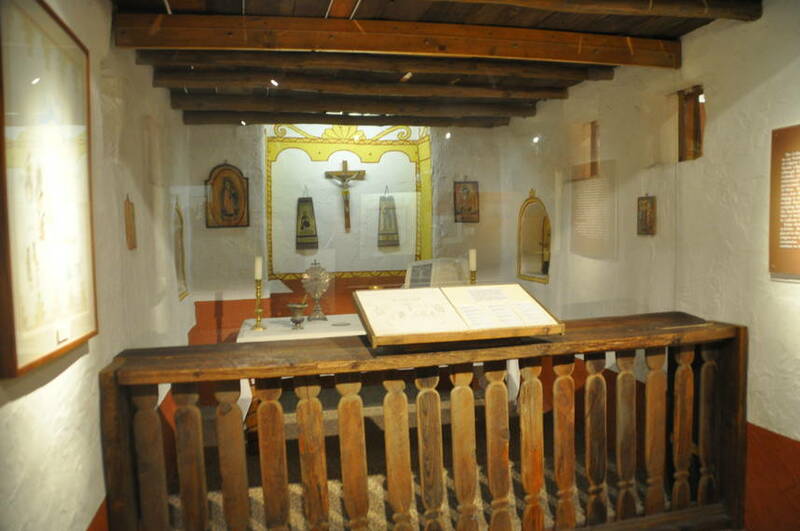 The Catholics did not attempt to understand the Pueblo religion. 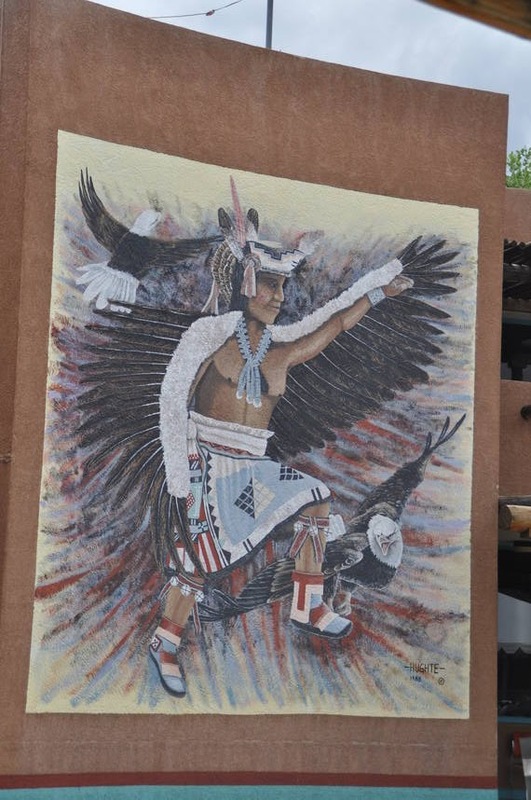 They just forced and moved to destroy the Pueblo ceremonial Kivas. 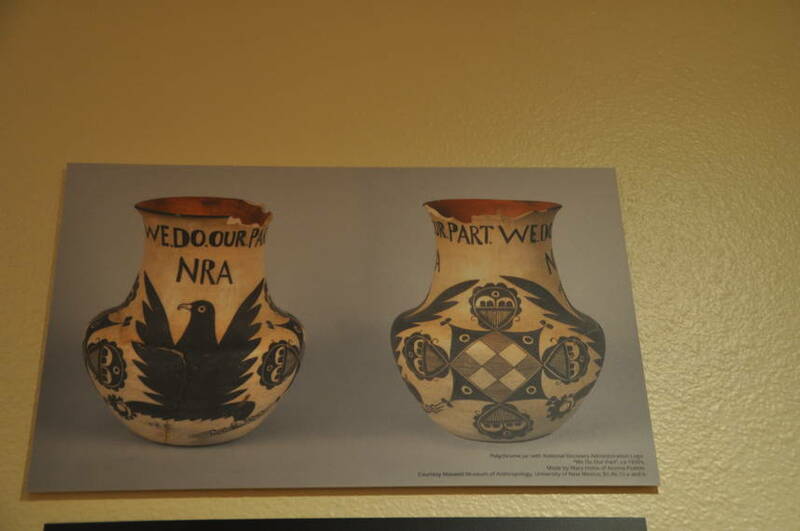 The Pueblo were also persecuted for worshipping in their own way. The clergymen exploited the people by enslaving them to provide labor and materials for the needs of the Spaniards. They were forced to plant large quantities of food for the clergy. 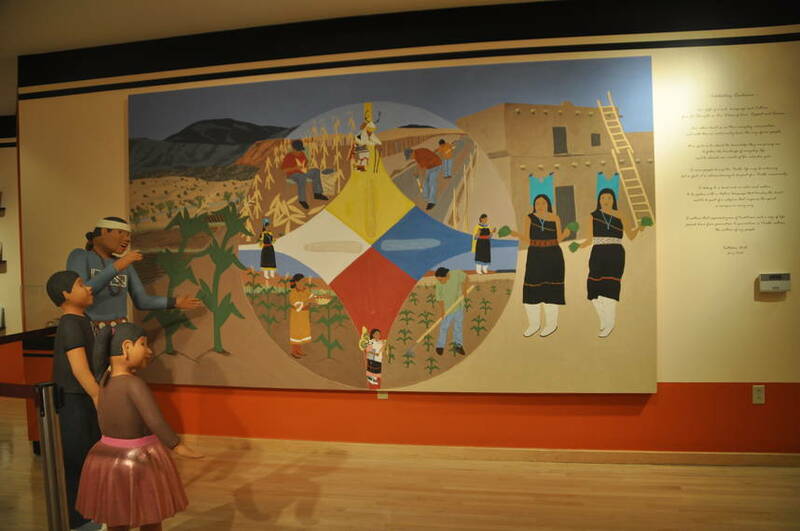 This left very few farmers to cultivate food for the Pueblo people. 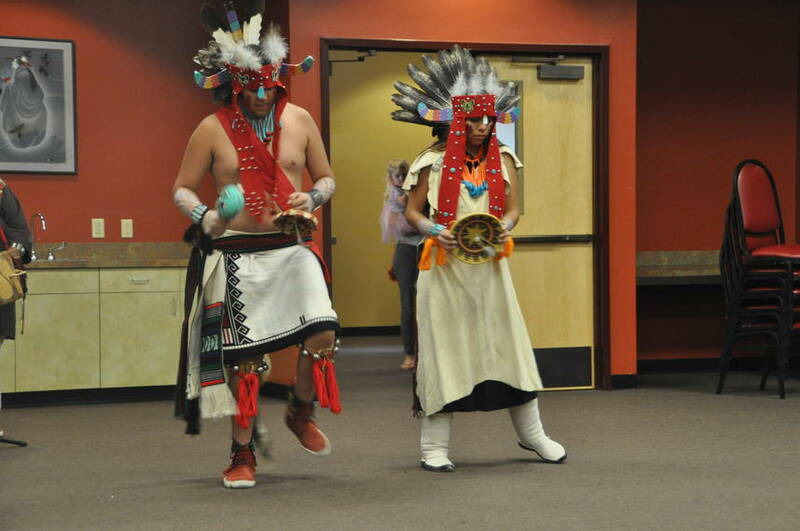 We were treated with real tribal dancers. 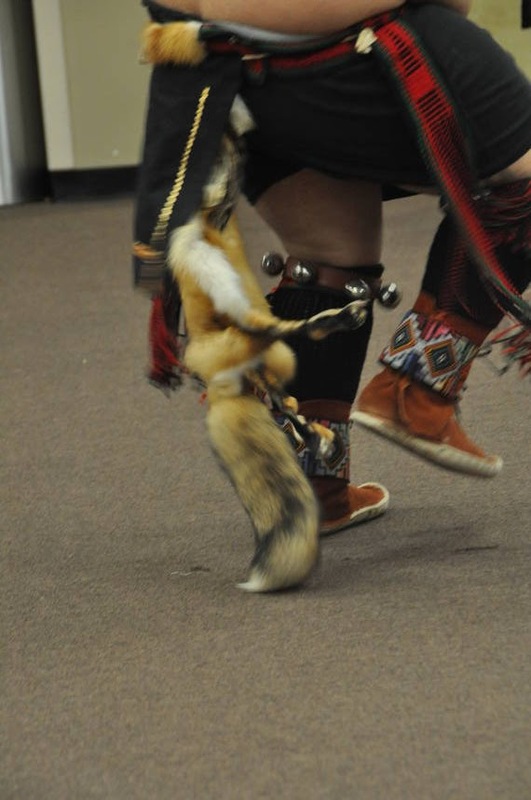 Yep those young men are wearing real fox pelts on their dance costumes. We got a chance to speak with the Indian song caller. He was the father of these 2 young men. 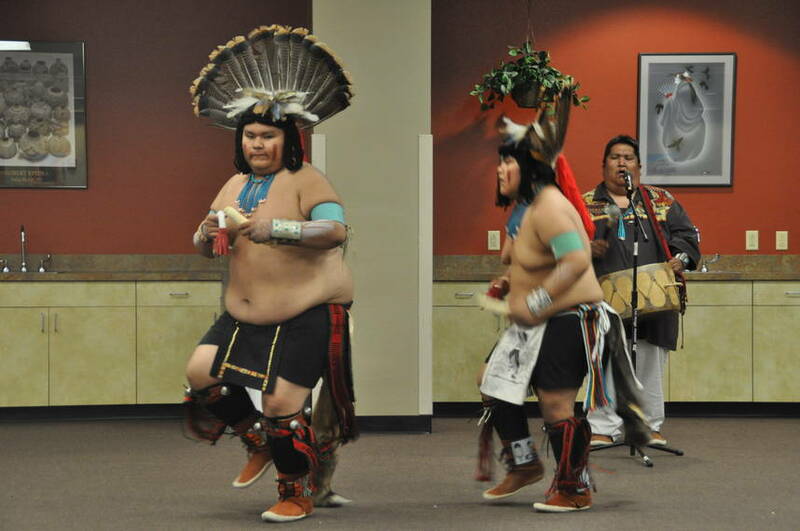 He started the tribal dance because he wanted his sons to know their hertigage. The start to learn the dance at 2. He boys are Alonzo Jr. and Quinton. The other young man was his nephew Ian and niece Cheyenne. 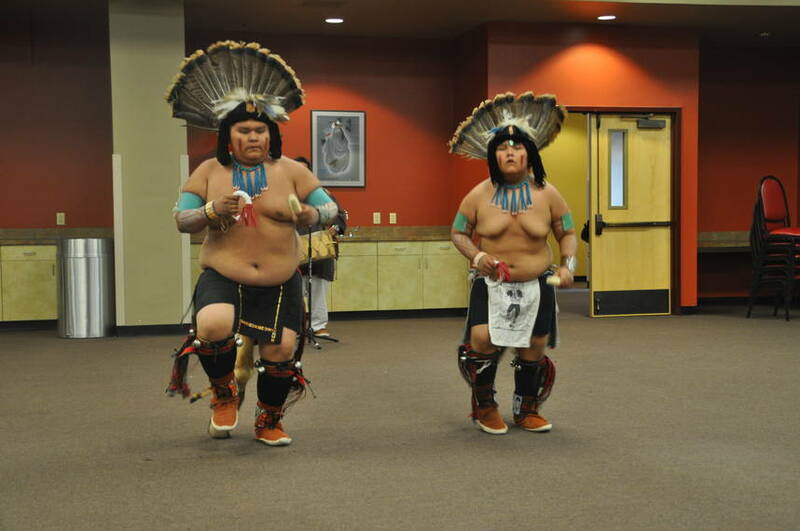 They are from the Hopi tribe. 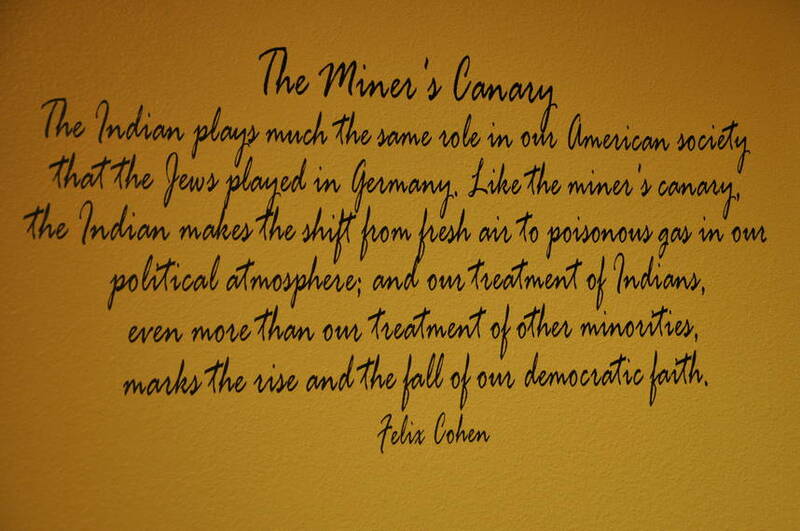 According to Alonzo Sr. the Indians suffer the same thing with their kids as every parent. That is why it is important for him to keep his kids close to him. 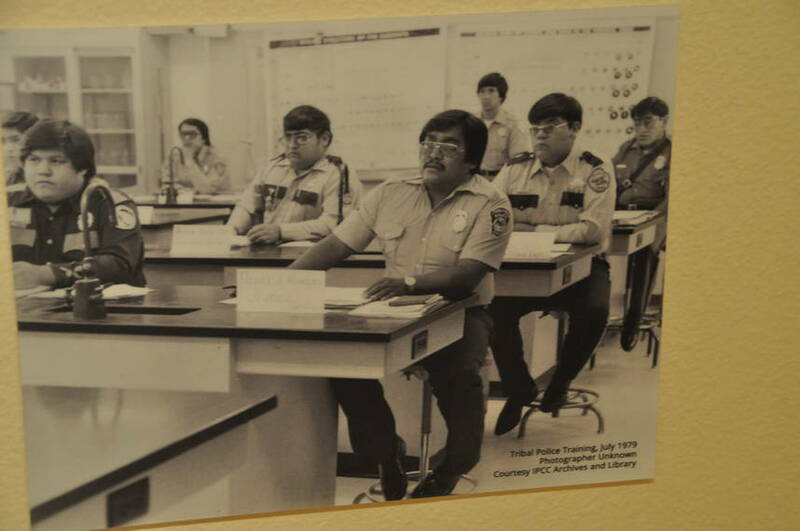 Each tribe has it's own police force. The regular police cannot come a reservation to do anything..
To make pottery. 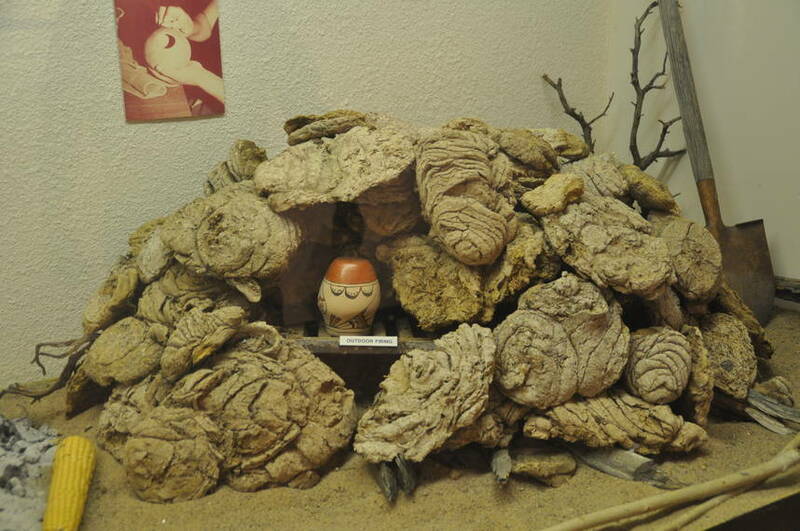 A firing kiln is made out of cow pies. 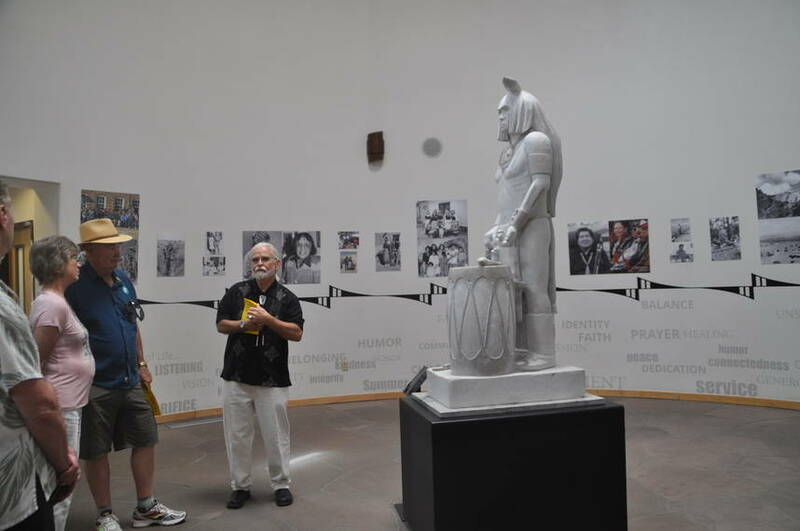 As we leave the center, there is a statue dedicated to the beginning of Indian time and to the WWII Wind talkers. As we were leaving the center we notice storm clouds coming. And rain it did with thunder and lighting. We decided to venture on to Old Town any way. Somebody wanted to get out of the car and just sit under one of the poaches and chill. Trust me it was not me. The way the wind was whipping I was getting a chill. But I did it anyway. It finally slowed down enough to walk in the rain and then it cleared up. 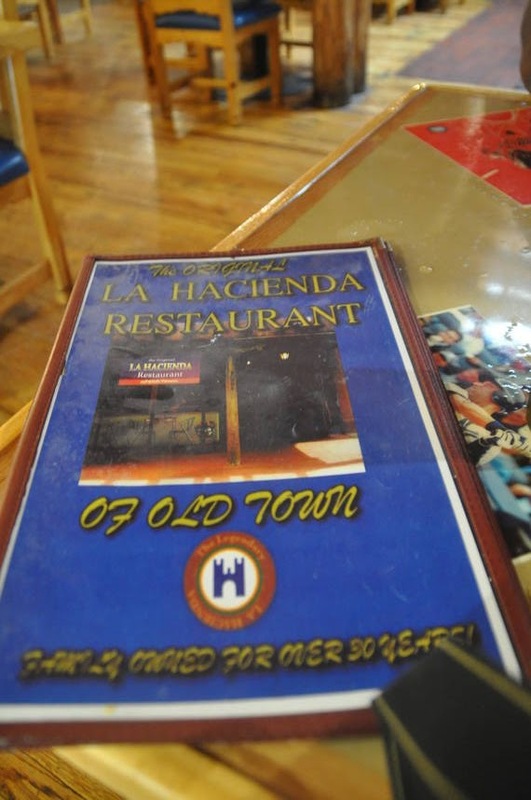 We stopped and had dinner at the La Hacienda restaurant. Our waitress had a little helper. It was her daughter. She was 5 years old and put out the silverware, brought the chips and asked if we needed anything. She was so cute we can her a tip. She was so excited to ran to show her mom. Now you know this would not happen in Cally. We called it an evening at headed to the Hilton. What does the word Pueblo mean? An American Indian settlement of SouthWest US that has multileveled adobe homes build by the Pueblo People. The word pueblo ultimately comes from the Latin word meaning "people," populus, also the source of other English words like population and even people itself, by way of Old French pueple. 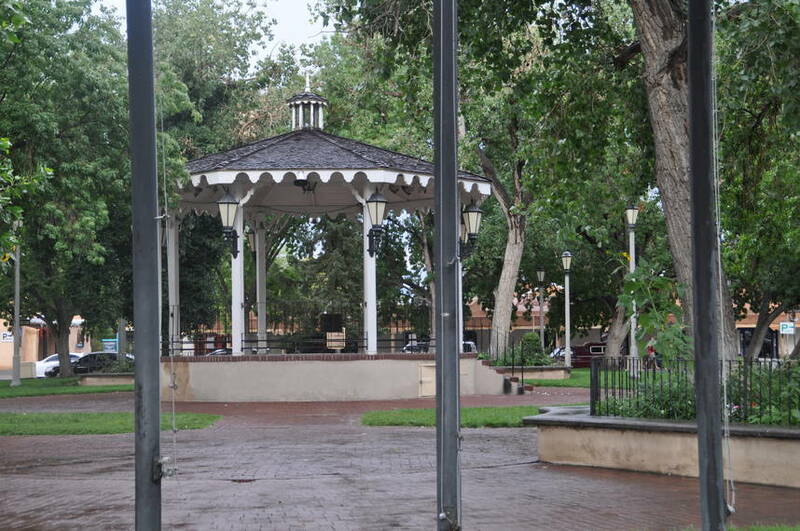 As the spoken Latin of Spain developed into the Spanish language, Latin populus became Spanish pueblo, meaning "town, village," as well as "nation, people." 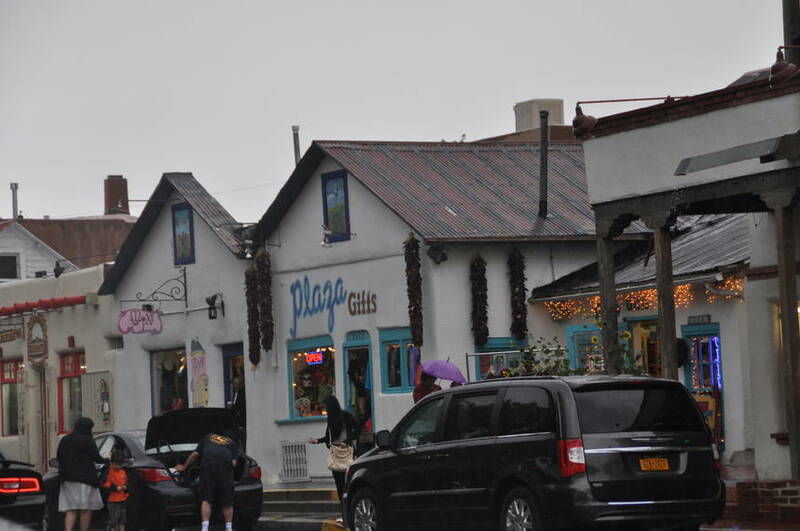 The 16th-century Spanish explorers who visited the area naturally used this word to refer to the distinctive adobe and stone villages of the Pueblo peoples, in which some buildings rose as high as five stories. 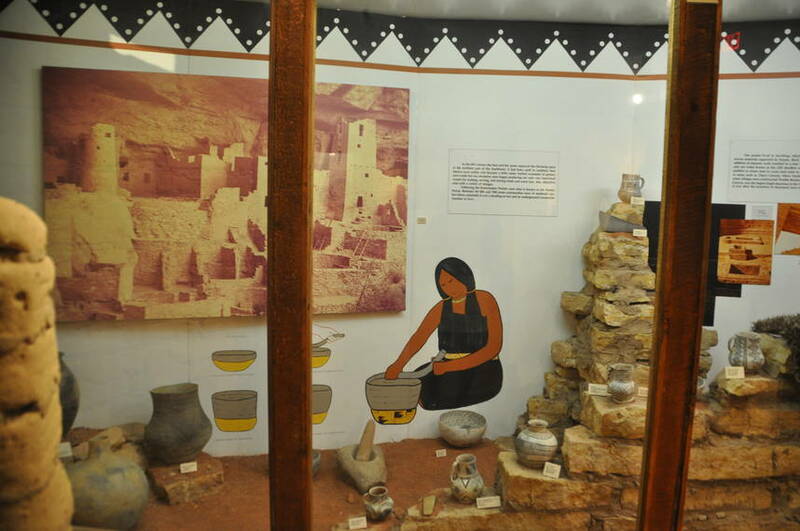 Pueblo first appears in English as a word for the distinctive villages of the Pueblo peoples, and it later came to be used to refer to the peoples living in the villages. 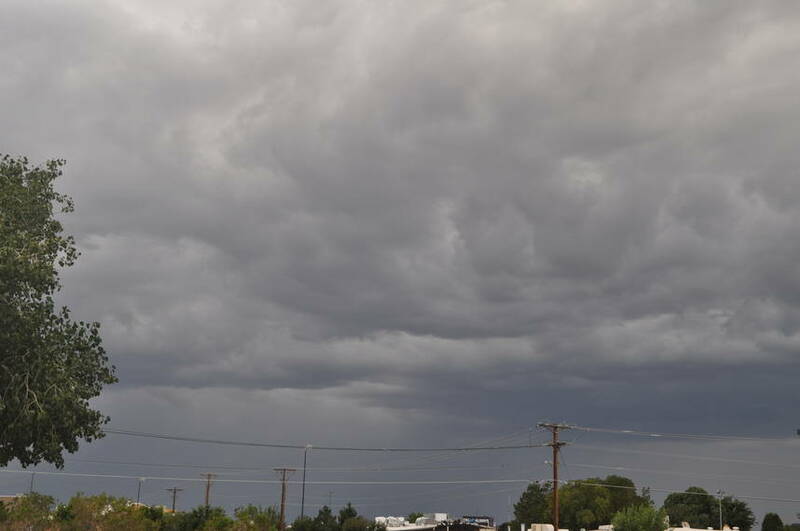 It's supposed to be "desert" in NM, but you sure see those crazy rainstorms just roll across that flat land... I love that.